LABOR DAY SALE! Today only 25% off everything! 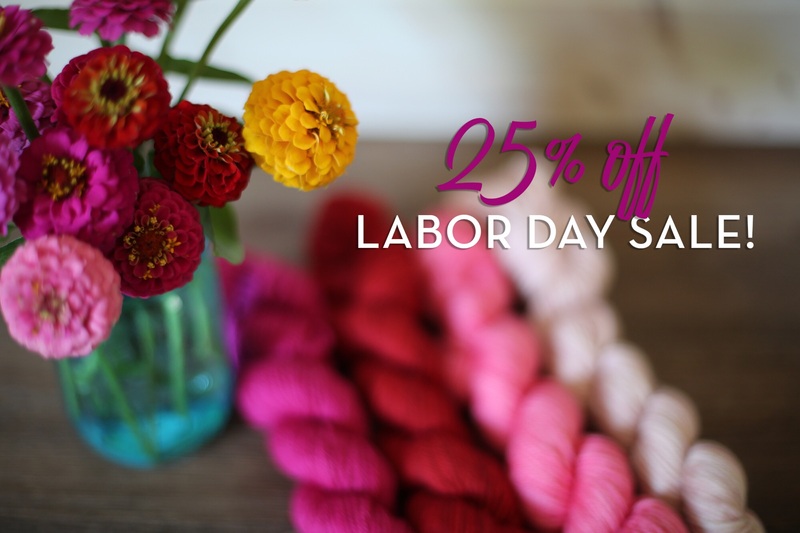 Today only - enjoy 25% off your entire order at niceandknit.com! We hope you're enjoying this unofficial start of Fall and all of the knitting that comes along with it! It's the most wonderful time of the year! Enter Code 'LABORDAY25' at checkout! Thank you for the sale! I took advantage on a few skeins for an upcoming shawl project.